It seems to be pulling in the weaker stations a lot clearer, and sounds better too! 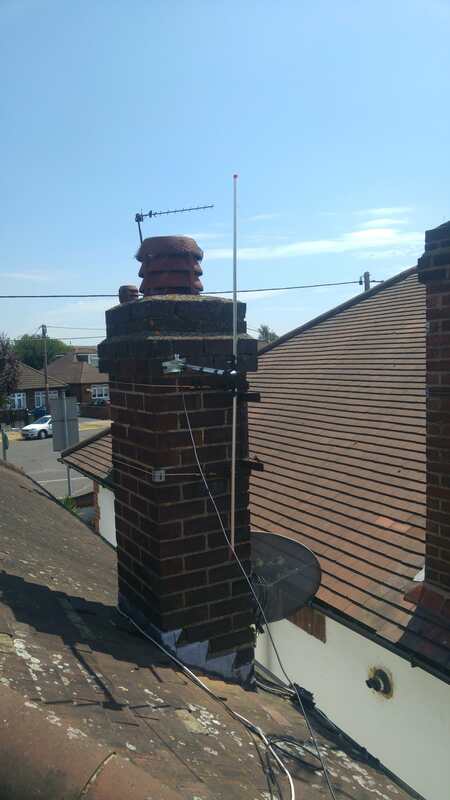 And before I got it, again since living here, ive been using some old home made FM antenna, someone left in the loft, so I finaly got round to sticking a good old Dipole rod up outside. 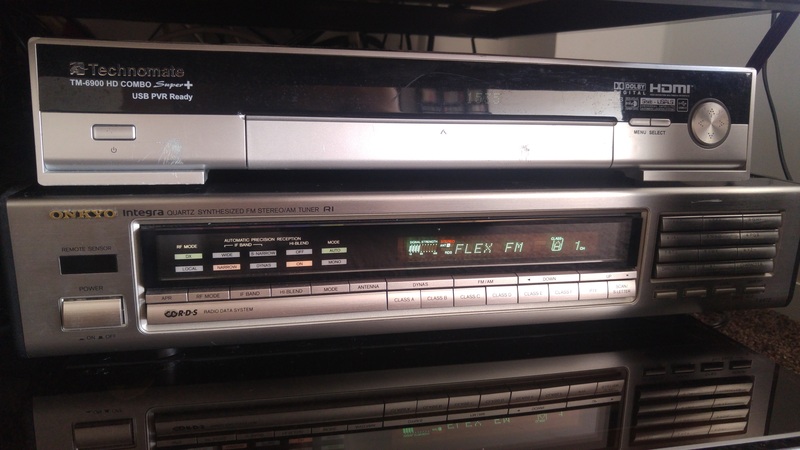 Old tuners are quite good, i’ve had afew i’m bought that I experimented with trying to get the best reception putting 110khz filters in them, (because they where tuners that didn’t have anyway to switch to a different bandwidth). You do get less distortion and more selectivity with a car radio with dsp chip in, theres nothing to mess about with or ajust. Old tuners are better than one of those cheap sdr sticks you plug into your computer that overload easly, you can get images with strong signals, with tweaking its possible to get them down, the more if stages the more it tends to better.. I've been playing around with some of the cheap SDR stick, and found one from DX.com for about $11 that works really well. I take the PCB out of the cheap plastic box, and rehouse it in a small diecast box, with the appropriate connectors for aerial, baseband output, power and logic control. I usually add a remotely variable attenuator which improves the image rejection in the presence of strong signals. I've written some drivers for a couple of the SDR chips, and they're actually really interesting to mess around with. I have a couple of these receivers used for spot frequency monitoring (in one case listening to a certain 70cm repeater) - they're cheap enough for this, and I use one for marine band monitoring, scanning through the popular channels, and stopping when a signal is received. My current experiment is to use one on HF, with a variable gain, critically tuned preamplifier (tuned and gain adjusted by the control logic), and the results are certainly promising. It may be possible to build a comprehensive multi-mode communications receiver that tunes from close to DC right up to the microwaves, including on-board data mode decryption and morse decoding, for about £80 including the Raspberry Pi to control it!